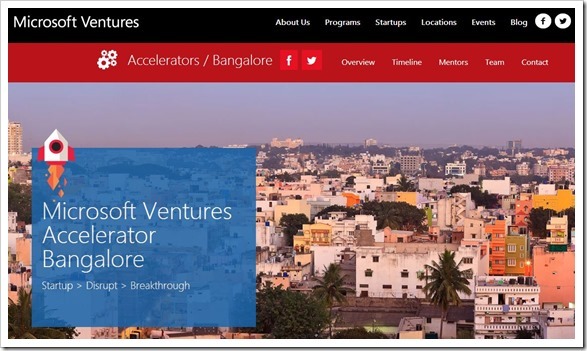 Microsoft Ventures in India have announced names of 16 startups who have made it to the final list of their 2014 summer batch. According to the PR sent to us, 6 out of these 16 companies (MyBusTickets.in, Praxify, Thinxstream, Touchfone, ZingHR and Zoom) will be part of their newly launched Accelerator Plus Program, which is tailor made for startups that have customer traction and know their market fairly well, whose needs are vastly different from early stage companies. Interestingly, except one or two of these startups, most others are not at a early stage. I know for the fact that startups like Instasafe, intouchapp, appointy etc all have launched their products quite some time back and they also have paid customers. Accelerators, in the strictest sense generally look at startups that are either at POC or pre launch or just launched stage. But looking at list of startups in this batch, it looks like Microsoft Accelerator is changing the rules a bit and looking at startups that already have some traction in the market. Just to clarify, this is Microsoft’s “accelerator” and not “startup accelerator”. Although most companies are startups in true sense, the goal of MS accelerator is to help accelerator the progress a company is making. Hope this helps in making the distinction.